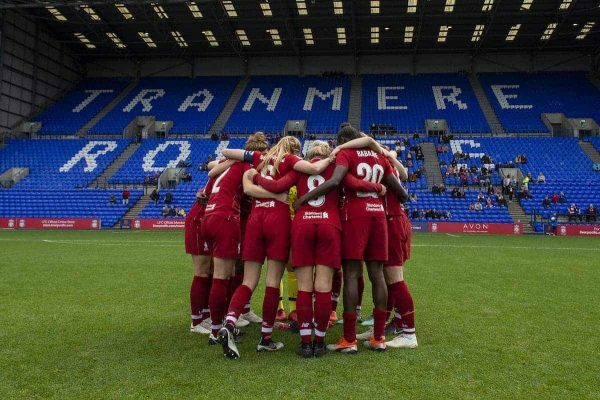 The Liverpool FC Women’s first league victory since October has provided a much-needed boost after another month of poor results throughout December. 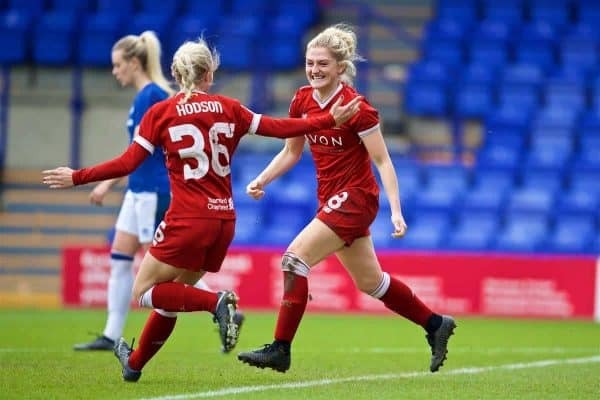 For manager Vicky Jepson and the Liverpool FC Women, it has been a season of vast changes and challenges as the aftershocks of Neil Redfearn’s early departure continue to be felt. A new-look squad was assembled in the off-season, and while wins on the board have been few and far between, there is a clear camaraderie within the squad which only bodes well for the future. 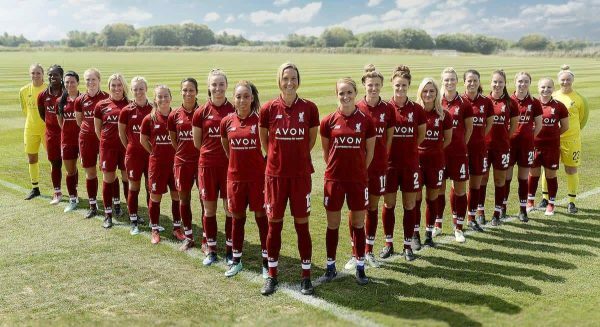 It is a sentiment which Jepson was quick to convey in the aftermath of the Reds’ first WSL victory in eight attempts against Yeovil Town last time out. Liverpool’s league victory on Sunday was the first in normal time in all competitions since October, and arrived after a series of narrow defeats in what was another tough month for the Reds, who currently sit eighth in the table. After emerging from November without registering a win, Liverpool’s December schedule provided several opportunities to bounce back in both the WSL and Continental Tyres Cup. The first of which came against local rivals Everton in the WSL, but the Reds were again forced to wait to add to their win column after falling to a 2-1 defeat. 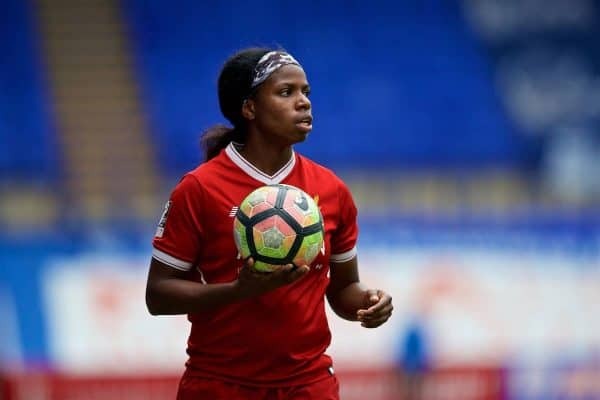 Forward Jess Clarke had equalised for the Reds in what was a frantic opening to exchanges, however Liverpool were left to rue their wayward finishing as four successive defeats turned into five. A slight upturn in results followed during consecutive fixtures against Reading in a league and cup double, where little could separate the two teams on either occasion. 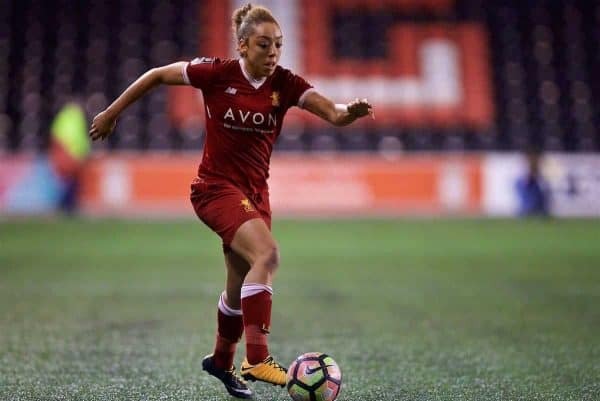 The first of which was a 2-2 draw in the WSL which saw the Reds twice pegged back on either side of a Courtney Sweetman-Kirk strike by Liverpool’s former midfielder Fara Williams. While it was a highly entertaining display of attacking football from both sides, which ended the Reds’ losing run, the result ensured Jepson’s side remained eighth in the table after 11 games. A reversal of fortunes then went the way of Liverpool during the cup clash only three days later. After finding themselves behind on the scoreboard midway through the second half, Liverpool quickly responded through the prolific Sweetman-Kirk to leave the tie at 1-1 after 90 minutes. Penalties followed and so did heroics from goalkeeper Fran Kitching as she saved Remi Allen’s spot-kick to pave the way for the skipper Sophie Bradley-Auckland to net the match-winning penalty, handing the Reds an extra point and a much-needed boost to morale. It was short-lived, however, as a tie with Everton in the same competition followed a similar script to their meeting earlier in the month as the visitors ran out 3-1 winners, where all four goals hit the back of the net inside the first 18 minutes. After an eventful 2018 both on and off the pitch, Liverpool welcomed the New Year with a meeting against Brighton in the WSL. The Seagulls had won only once prior to their trip to Prenton Park, but they went on to dominate proceedings to secure their second and inflict Liverpool’s eighth defeat of the campaign after scoring two unanswered goals. 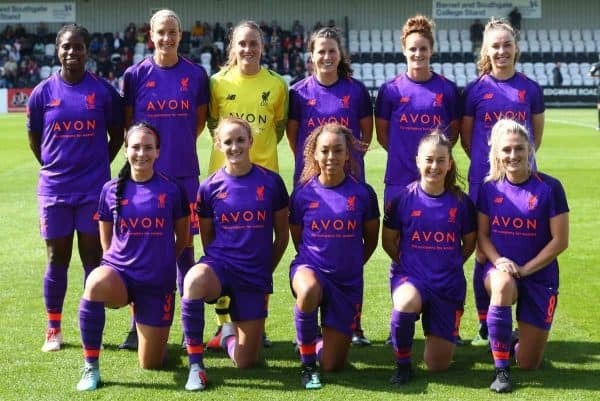 Liverpool were not without chances of their own, however, as Kirsty Linnett saw her effort ruled offside when scores were level, while defender Satara Murray saw a header cleared off the line. While it was not the start to 2019 that the Reds had hoped for, they needn’t wait long to right their wrongs and clinch their first win since October 21 in dramatic fashion. A six-hour trip to face the league’s cellar-dwellers Yeovil saw Liverpool ride a wave of emotions having taken the lead from Sweetman-Kirk’s penalty conversion in the first half, before being pulled back early in the second. Although the result did little to move Liverpool out of eighth place, the three points did create a 10-point buffer above the relegation zone and inject a renewed sense of belief as the season moves into the latter stages. Liverpool’s next WSL clash comes against seventh-placed West Ham on Monday, January 28, with kickoff at 7pm (GMT). If you can’t make it to Prenton Park, you can watch the game live on BT Sport 1.